In many respects, Facebook is the digital banal: it is a daily habit through which life is experienced mediationally. Founded in 2004 by then Harvard student Mark Zuckerberg, along with fellow students Eduardo Saverin, Andrew McCollum, Dustin Moskovitz, and Chris Hughes, Facebook has approximately 1.28 billion users who access the site daily. It was perhaps the first Web 2.0 platform that made the web feel like real life for nonspecialist users. At its inception, Facebook was a site that verified users through their preexisting social networks and replicated those real-world networks exclusively. Since 2004 Facebook has become a default mode of social connection across the globe—85.8 percent of daily active users are outside of the United States and Canada. 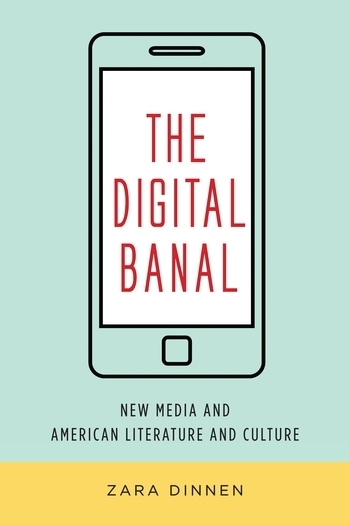 As Kember and Zylinska argue, “With its constant flow of data, its shaping of human and nonhuman experiences and events, and its reworking of what we understand as a ‘relationship’ and a ‘connection,’ we could perhaps go so far as to suggest that Facebook is a modulation of ‘life itself.’ ” The banality of Facebook in the context of its users’ lives—its everydayness—is both the means by which, and the block to recognizing how, Facebook becomes a modulation of “life itself.” As an interface for social interaction, Facebook works by disappearing; it is a tool for connection. The affective novelty of Facebook is its uncanny re-presentation of your life, but this is effaced and appears instead as efficiency. In practice, Facebook is a program that determines the parameters and quality of “connection” as a reified concept, but in everyday life, it is mostly an icon that users tap to see what their friends and family (and not-so-close connections) are up to. In these ways, Facebook conforms to the operation of the digital banal; the condition by which we don’t notice the affective novelty of becoming-with digital media. In other words, the way we use media makes us unaware of the ways we are co-constituted as subjects with media. Facebook purports to be a neutral representation of sociality, of its users’ social life. But, as has been consistently reported over the last few years, Facebook is not neutral, just effacing. Facebook’s algorithms are a mode of social design that curates a user’s access to information and communication; moreover, it produces conditions for connection that must be recognized as new affective modes of sociality. Facebook is full of paradoxes: eventalizing the rote and ordinary, connecting without being together, being present in multiplex ways. Users of Facebook are always making their lives visible and present, existing in an unresolved present, where life can be called up and refreshed. This performance of an individual sovereign life, to be witnessed by Facebook and its users as sociality, is also a making over of that life in ever more granular, quantified terms. The banal Facebook paradox is one of storage—the live present of Facebook is possible because data is stored elsewhere. The encounter with live Facebook subjects is possible precisely because subjects are always already interpolated as stored data. Facebook presents an unresolved subject who is becoming-with technology (perpetually in the present), while blocking from view the remaking of the sovereign subject as a software litany (the profiled subject found in directories, routines, archives, history), a neoliberal data subject. In 'The Social Network' the foundational myth of Facebook is narrated as a revenge drama. A young man who is depicted as insensitive and unempathetic to those around him is nonetheless acutely sensitive to the ways he feels slighted in life—by women, by wealth and class and elitism—and sets about righting the obstacles to his proper flourishing by way of an algorithm, which will fix the glitches of human-to-human social networks. In the film the widespread attachment to Facebook is this: you will know if someone is single without even having to ask; you will know who is like you without having to work it out yourself, without having to risk a mistake. The film supplies a story to make sense of the Facebook ideology of connection-as-distance. The film also gives away its own unease with this narrative. It depicts the violence of algorithmically encoding social life, the white male patriarchy of proving the world’s programmability. The Social Network offers a visual grammar of code: a cinema that is attentive to the task of representing code in its material and symbolic state and as an effacing gesture that is also a political reality of everyday life. Alongside the construction of the social network played out in the Facemash scene are contrasting practices of reading and writing, which are represented on-screen as the blog post/voiceover and the programming code. In the scene the depictions of writing flicker between writing plaintext with HTML (for the blog) and writing command code (for Facemash). These are two different languages. Both are higher-level programming languages, but HTML is written in plaintext (natural language) with additional rules that are deployed to dictate the appearance of that text online. The code for Facemash is a structural layer below this (such as C++). The scene is soundtracked by pounding dance music, and within the same long scene (full of short edits) we see the instant “liveness” of Facemash as (mostly male) students in other dorms get sent a link to the site and begin rating the photos. The ellipses between Zuckerberg’s blog text (readable) and his program text (code) serve to give an impression of fluidity to the procedures for writing structural code. The voiceover in this scene explains the procedures of code, framing the visually disconcerting switches between scenes and screens with a smooth technical narrative that performs the disciplinary norms of patriarchy in a manner that seems like algorithmic inevitability. The dialogue in this scene that refers to code is, for the most part, technically authentic—the only changes Mark Zuckerberg requested to be made to the script were those referring to the programs and algorithms he used to build the initial site. The voiceover has the added effect of distinguishing between the two writing procedures, giving human inflection to the blog post, which in turn functions as a way for the viewer to understand what is happening in the representation of code writing. The code is only named, and therefore technically understood, through the blog: “definitely necessary to break out the Emacs and modify that Perl script.” Its appearance on-screen is not legible—it is depicted as blurry lines of indistinguishable characters. The programming characters are lighter in color than the blog font; viewers are permitted to not know, or even to not see, this operation. In contrast, the blog text as seen on-screen is perfectly legible, and the audience can read along with the voiceover. The scene is fraught with the anxiety of distance between user and code. This anxiety is represented textually through multiple representations of reading, writing, and narrative. The counterpoint to these multiple depictions of reading and writing is one that epitomizes the difficulty in narrativizing code: in this section of The Social Network the blog functions as the narrative frame for that which resists narrative—code. This happens visually (the viewer can read the blog but not the code script) and verbally (the viewers do not necessarily know what “Emacs” or “Perl” refer to, but they can follow the context). And yet, even with such an accessible cinematic frame, this representation does not technically render the code readable or understandable; it merely conflates the difference between seeing and reading, or between viewing and understanding. The production of code in the cultural imaginary as yet another mode of reading and writing is one way in which the executibility of code as machinic discourse is effaced. In the scenes of programming described above, the performance of the programmer is one of sovereignty: the programmer rewrites the world. Such scenes narrativize code as constitutional. As Chun has written, the executability of code is not law, but rather “every lawyer’s dream of what law should be: automatically enabling and disabling certain actions and functioning at the level of everyday practice.” Here Zuckerberg is seen to be constituting a new social order, and this constitution is depicted as latent with meaning. The programming frenzy we watch on-screen is energized by a dramatization of historical affect that was lacking in the actual historical architecture of Facebook: Zuckerberg was hurting. The hurting leads to the hacking as a distraction (and as revenge), and the hacking involves scrolling through photos of women in Zuckerberg’s social network. In tension with the performance of what could have been—the emotional frenzy—is the banal affect of what has become—our distracted swiping, our protracted userness, our unresolving present, our scrolling through Facebook profiles. In other words, these scenes exemplify the digital banal: they are meant to be exciting and show us the dawn of some new thing, but the excitement and energy is displaced onto and dispersed throughout old things (partying, heartbreak, misogyny), and the means by which the new is being constituted—hacking—appears as just another text in the process of being written. In these early scenes of The Social Network, the audience is presented with a benign avowal of the new order, or, here a violent reordering of the social appears as a same old slice of life itself. Matthew G. Kirschenbaum, Mechanisms: New Media and the Forensic Imagination. Cambridge, MA: MIT Press, 2008.